Align your brand with Auckland's most dynamic new neighbourhood and the centre of innovation in New Zealand. 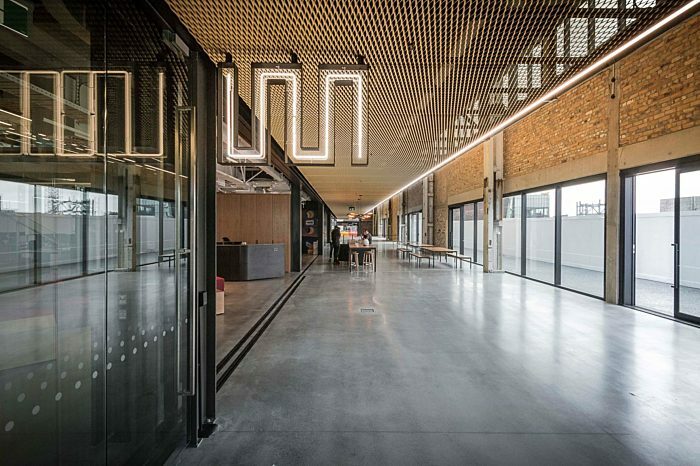 Wynyard Quarter Innovation Precinct is designed to facilitate creativity, spur innovation and make it easier for businesses to respond to change, both through building design and proximity to likeminded businesses, all within the buzzing Wynyard Quarter. Now leasing and currently under construction is 10 Madden Street. Programmed to open in 2020 and situated at the centre of the innovation precinct and in the heart of Wynyard Quarter. Reward and retain the best minds from New Zealand and around the world by providing them with a happiness-inducing neighbourhood where they can work, live and relax. Wynyard Quarter is a magnet for all and welcomes all. An Inclusive neighbourhood that is an immense (and growing) source of pride for Aucklanders. As one of the largest urban regeneration projects New Zealand has ever seen, Wynyard Quarter is rapidly changing. Currently in a period of intense development with a large amount of construction underway, it is well on its way to being a functioning, high amenity neighbourhood. Wynyard Quarter is very close to the CBD but has the benefit of being a low-rise development built to a human scale. 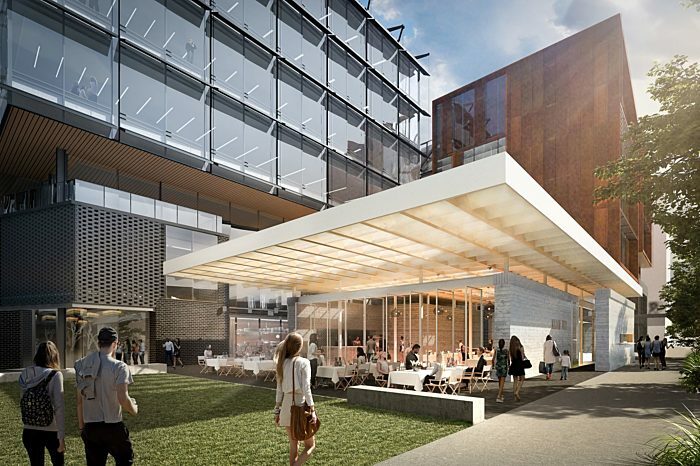 Here, staff can be part of a truly mixed-use commercial, hospitality, residential and arts precinct. Laneways, cafés, parks, shops, arts, events, and of course, the Waitemata, are all within easy reach. When complete, Wynyard Quarter will be home to around 25,000 workers and 3,000 residents. Panuku Development Auckland, the Auckland Council Organisation that is overseeing the revitalisation has developed a masterplan that allows for the area to change to respond to the needs of the Wynyard community. There are multiple strategies in place to ensure that the quality of the public realm remains high, that there are plenty of shops and facilities and that the area is activated day and night. 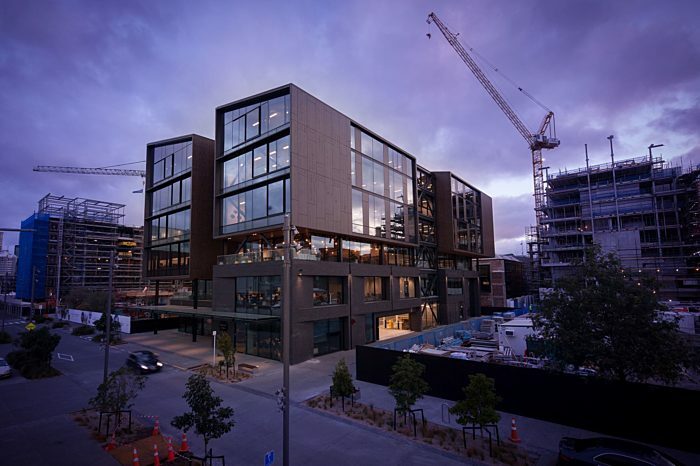 The dynamic, vibrant environment, the busy calendar of events, easy access to the outdoors and the exceptional quality of the streetscapes and laneways surrounding the Wynyard Quarter Innovation Precinct will help attract and retain the best staff. Already a highly connected area, as Wynyard Quarter grows, transport connectivity will increase to respond to the needs of workers, residents and visitors. Public transport connectivity is a key area of focus for Precinct Properties and we are working in an advocacy role to continue to improve the amenity in the area. Increases in the frequency of buses sees the area directly serviced by 25 buses an hour, with a significant number of services terminating just a few minutes’ walk of the Wynyard Quarter Innovation Precinct. Other modes of transport will become more important as Auckland’s population grows, and current proposals for high capacity light rail has the service terminating within Wynyard Quarter. While we can't precisely define the public transport amenity that will serve in the future, we can assure you that the area is becoming more connected as the area grows and demand increases. Locate your business within a community designed to foster innovation. Immerse and involve your business in New Zealand's innovation community, and gain access to 'the new' – new ideas, new technology, new attitudes and approaches to thinking and working. This is the kind of environment the best and brightest will thrive in. Wynyard Quarter Innovation Precinct is designed to make it easier and more efficient for businesses to innovate and respond to change. The precinct totals around 48,000m2 of space across multiple buildings. These buildings will be home to a range of businesses, from start-ups to large corporates. The precinct is already a hub for events aimed at inspiring and supporting entrepreneurs. Collisions of ideas and burgeoning networks are creating opportunities for individuals, companies, and New Zealand's economy. Auckland Council, through Auckland Tourism Events and Economic Development (ATEED) is committed to providing the infrastructure and environment to position Auckland, and New Zealand, as a knowledge economy. What does a successful innovation hub look like? Communitech in Waterloo, Ontario, Canada is one of the world's most established innovation hubs. In 2016 alone the Waterloo Region saw 382 startups created, its tech companies raised $255M in private capital and hired 2,782 new employees. Thanks to Communitech, Waterloo’s startup density is second only to Silicon Valley. Precinct and ATEED have learnt a lot from Communitech that is being put into practice within Wynyard Quarter. Click here to learn more about Communitech. There are big sustainability aspirations for Wynyard Quarter. Panuku Development Auckland’s goal is for the area to be the leading location of sustainable urban transformation and renewal nationwide. All parties are working hard to deliver to clearly articulated sustainability objectives. The approach to sustainability at Wynyard Quarter focuses on 'whole of life' outcomes rather than being limited to the development period. The website at www.wqsmart.co.nz updates, in real time, how Wynyard Quarter is tracking against its sustainability objectives. Talk to Alain about the Innovation Precinct.